Photography, reading, walking, learning languages, meeting people, watching wildlife, horse riding, trying something new, … These are some of the passions that fuel my life and encourage my travels. I hate to see writing overwhelmed with clichés, but “variety is the spice of life” is one I’ll always be happy to use. This blog is my way of exploiting my love of writing. 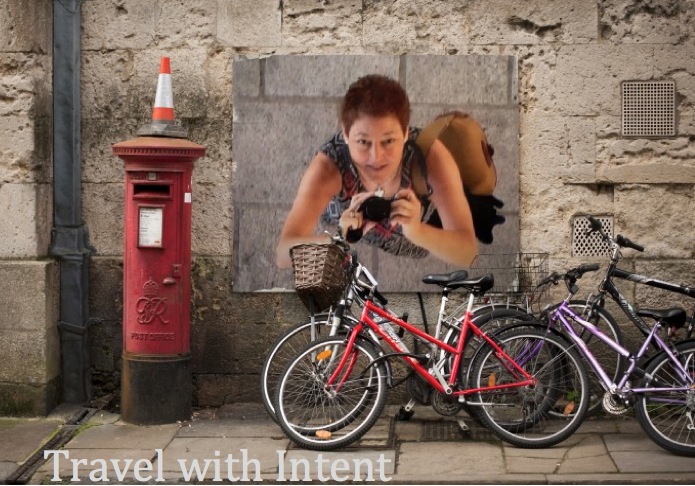 I am keen to share my travel ideas, experiences and photographs. I hope you will find inspiration here, and that you will join me for a chat now and then by leaving a comment. Most importantly, I want to pass on a smile or chuckle. My first post was from Edinburgh Castle in January 2013 and the blog has grown and developed since then, as I have learned new blogging and photography skills and discovered new things to share with you. I have been delighted and amazed at how many people have viewed my posts and now follow this blog. The camaraderie that exists among bloggers is not something I expected: there is always someone out there with an encouraging word or a great suggestion. So thank you to all of my readers. Please keep following and commenting. I very much appreciate it. Thank you too to my fellow bloggers who have chosen to pass awards my way. They are all very much appreciated but please reserve them for new bloggers. Feel free to pass comments my way but not the awards. Most users’ web browsers automatically accept cookies, but you can modify your own browser settings to decline cookies at any time if you wish. Do be aware, however, that if they are turned off, the blog won’t work properly. When you follow my blog via your WordPress membership, your email address is not visible to me but I can access your blog via the WordPress Reader. When you follow my blog via your email address, your details are stored by WordPress and your email address is visible to me. When you leave a comment, WordPress stores your Gravatar name, IP address, comment and email address. Therefore, when you leave a comment, this is considered an affirmative action giving consent to this and giving me permission to contact you in future by email. If you do not consent to the above, please do not leave a comment. I see so many interesting pictures on your site. I will follow you. I love your theme and curious to know which one it is? I am writing to ask if you’d be interested in selling banner ads or sponsor posts (or ads in other form if you have other ideas) on travelwithintent.com. Love your new blog look, Debbie! Hope you had a beautiful Mothers Day? Am wondering what happened last week. Last week Sunday you had a beautiful photo with almond or cherry blossoms (I think that’s what they were). you left me a comment, but you didn’t link it to SEASONS – which I think was your intent (because the challenge) starts on Sunday). I left you a comment before Wed. night -but it’s not like you -not to get back to me. Thank you for your very kind nomination. I don’t accept awards these days – but I do appreciate that you took time to visit and nominate me. I pressed teh publish button by mistake – it wasn’t finished. It will be back soon! You have visited in Finland – wow! Can You tell where? VERY cool…love that photograph…you on the wall? How’d you do that? A Blogger friend did it for me – cool, isn’t it? Hi, looks like you’ve got an extensive blog here, full of interesting things. Look forward to reading your posts. Thank you, Debbie for giving me a chance to know you. Would like to follow your travels. Lovely photos. Look forward to becoming a regular visitor. Really enjoying my visits here. Regards from Thom at the immortal jukebox. Hiya Debs 🙂 I have a terrible habit of forgetting to tell people when I nominate them for a challenge! I expect you’ve already ‘passed’ on this one but I know you’d do a grand job. https://restlessjo.wordpress.com/2015/03/04/black-and-white-5-day-challenge-day-2/ No worries if you don’t want to. I have a bit of a beginners’ question for you. I see that, in your blog, you have pages with drop-down menus according to the geographic areas in your main menu… How do you do that?! It depends a bit on the theme you use as not all offer it. It is a custom menu based on categories. You’ll need to allocate countries to your posts as categories. Go to WP Admin / Appearance / menus. Then Create a New Menu and drag your categories from the left column into the Menu. It’s a bit difficult to explain, but if you need help google wordpress custom menu and you’ll probably get a better explanation. Got it! I just had to drag stuff into the menu… a lot quicker than I expected 🙂 thanks. Debbie do you have any interest in participating in a B&W challenge? Hi Debbie , I love your photos and your blog. Thank you very much for reading my blog and stop by it. I can use the Travelmap ? Oh yes, do use the travelmap – -y’s a 3rd party tool. Debie Hi , I tried to copy the Travel Map, but I have not succeeded. I copied and pasted into a text wigget but not served. Can you tell me how should I? Hi Debbie, thank you for your visit and decision to follow. I am delighted to find you and reciprocate. Thank you so much Debbie, for choosing to following our adventures in sailing and photography. We really appreciate your interest. Hi Debbie, thanks for stopping by my blog. I love your photos and I’m so jealous that you’ve visited 20% of the countries in the world. I’ve only been to 1%, a lot of catching up to do, methinks. I’ve been lucky – work has helped me get to some of them. Thanks for stopping by and following my blog. I will look forward to following your travels as well. Here’s a message from Türkiye to say “thank you” Debbie. I appreciate your recent ‘follow’, knowing how many interesting and entertaining blogs there are out there. I would like to use the travelmap. how can I do this? Thanks so much for following my blog and leading me to yours. Glad I found it, and eager to follow your adventures.. Which should definitely include the Philippines 😉 Have a sweet day! I certainly do need to head your way! You need to add some green to Australia on your map.. Come visit me!